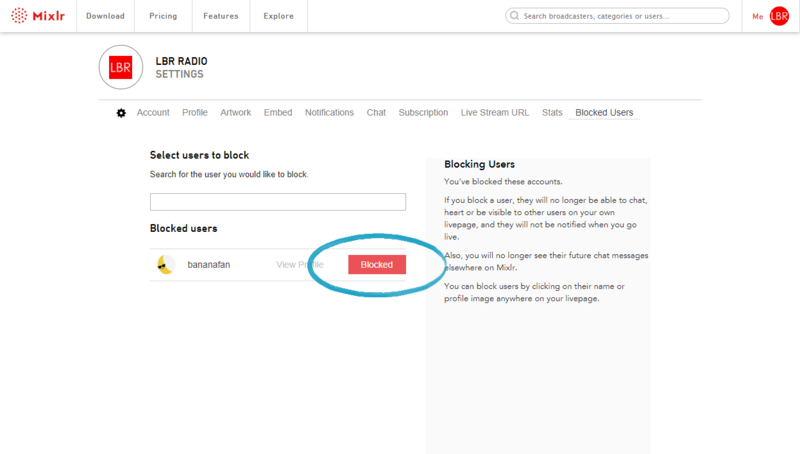 In this article we're going to show you how to block and unblock someone from your Mixlr livepage. When someone is blocked they are still able to listen to your show and will appear in your listeners list, but they won't be able to comment on your livepage. 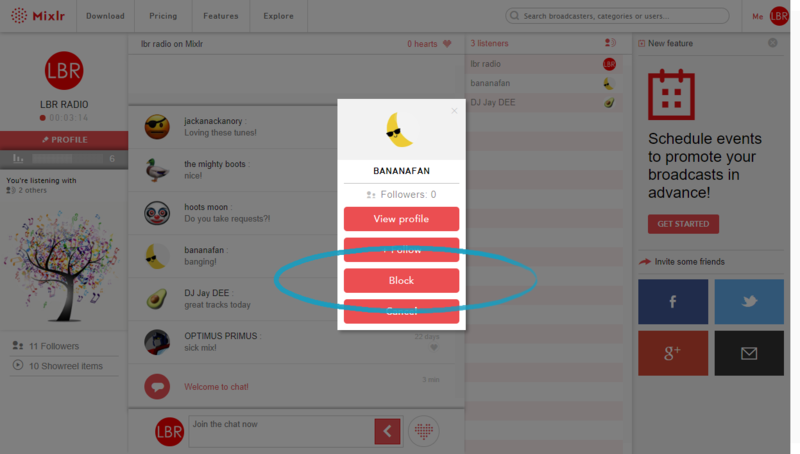 You can block a user who is currently on your Mixlr livepage by clicking on their name in your listeners list, or by clicking on their profile image if they have posted a comment. 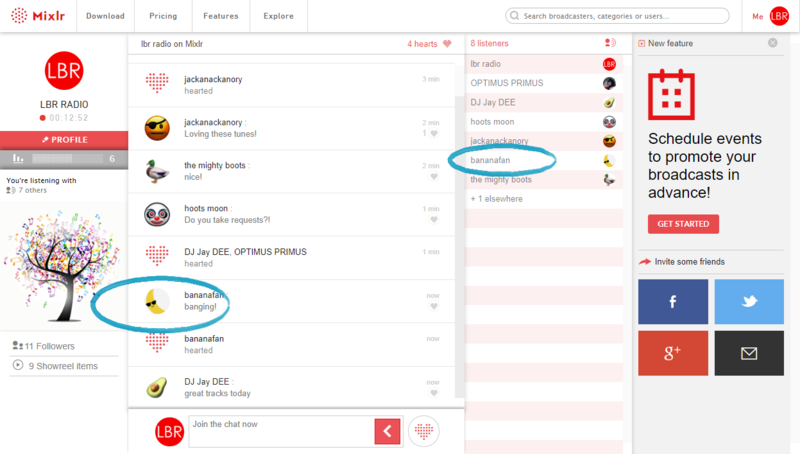 Clicking in either location will bring up a list of options related to the listener. Click 'Block user' to ban them from commenting on your livepage. 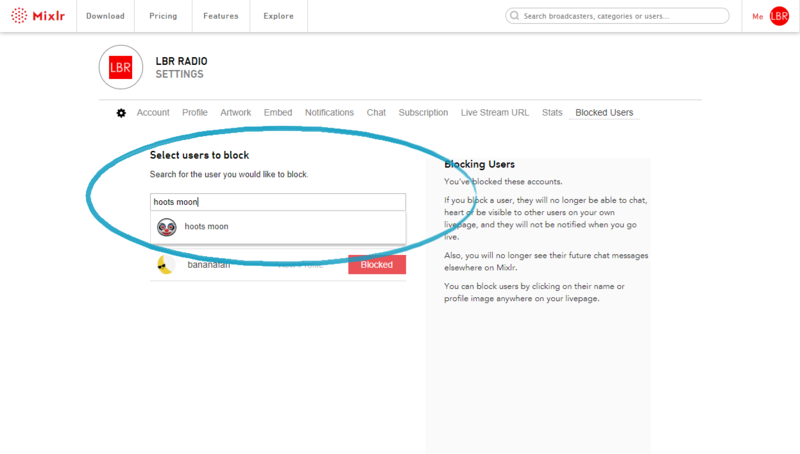 TIP: if a listener has been blocked, you can unblock them by following these same steps - the 'Block' button will have changed to an 'Unblock' button. You can also block listeners, and manage your list of blocked listeners, from the Settings pages. 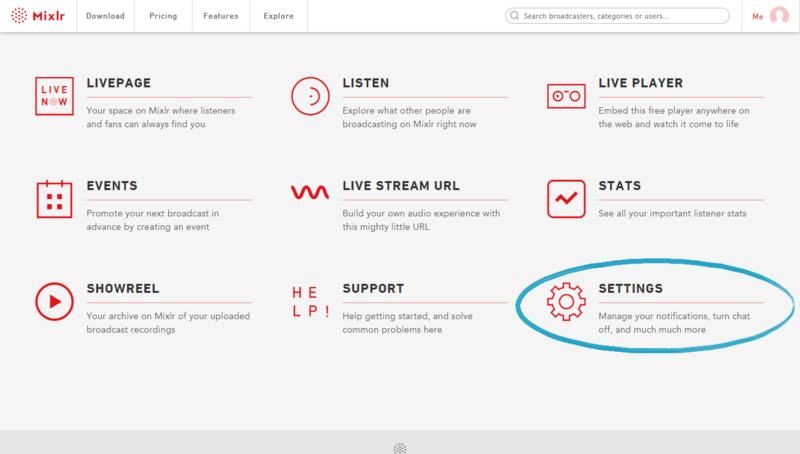 From the Mixlr home page, go to your Settings page. Select the Blocked Users tab. TIP: you can go straight to your Blocked Users page by clicking this link. From this page you'll see all the users that you've blocked. Hovering the mouse over the 'Blocked' button will change this to say 'Unblock'. Click here to unblock the listener. If you want to block a user from this page, enter their Mixlr username into the search box and select them from the results list that will come up. If you are experiencing harassment or abuse on Mixlr we can help. Contact us here. 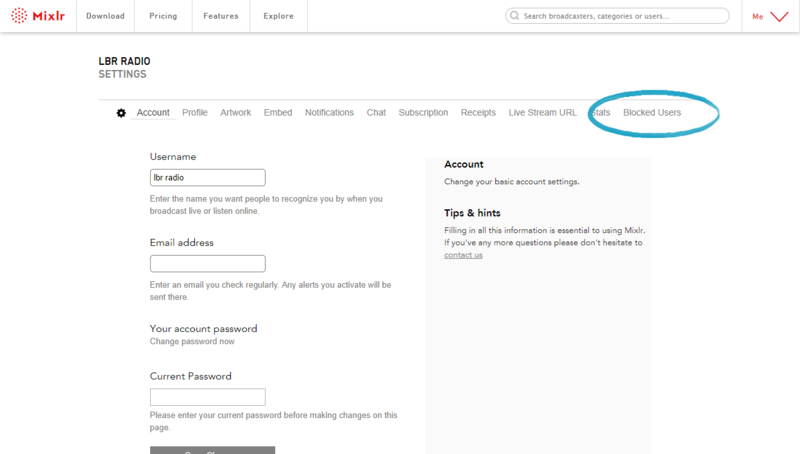 To find out how to disable chat entirely on your livepage click here.